The two horizontal components of the seismic action and the vertical one (when it is taken into account) are considered to act simultaneously on the structure. Simultaneous occurrence of more than one component can be handled only by a time-history analysis of the response (which in Eurocode 8 is meant to be non-linear). All other analysis methods give only estimates of the peak values of seismic action effects during the response to a single component. These are denoted here as Ex and EY for the two horizontal components (considered to also include the effect of the associated accidental eccentricities) and Ez for the vertical. The peak value of the seismic action effects do not occur simultaneously, so a combination rule of the type E -Ex + EY + Ez is overly conservative. More representative combination rules, with a probabilistic basis, have been adopted in Eurocode 8 for the estimation of the expected value of the peak seismic action effect, E, under simultaneous action of the three components. Equation (D4.21) always gives a positive result, regardless of whether Ex, EY and Ez have been computed through the lateral force or the modal response spectrum method of analysis. If Ex, EY and Ez are computed through the modal response spectrum method by combining modal contributions to each one of them via the CQC rule, equation (D4.10), and the seismic action components in the three directions X, Y and Z are statistically independent, in an elastic structure the outcome of equation (D4.21) is indeed the expected value of the maximum seismic action effect, E, under simultaneous seismic action components. Under these conditions, the outcome of equation (D4.21) is also invariant to the choice of the horizontal directions X and Y. In other words, on the basis of a single modal response spectrum analysis that covers the three components, X, Y and Z, at the same time and uses the CQC rule to combine modal contributions for each one of them, equation (D4.21) provides the expected value of the maximum elastic seismic action effect, E, for all members of the structure, irrespective of the choice of directions X and Y. In this simple way, equation (D4.21) automatically fulfils an - at first sight - onerous requirement of Eurocode 8 for buildings with resisting elements not in two perpendicular directions and hence without an obvious choice of the two directions X and Y as the main or principal ones: namely, to apply the two horizontal components along all relevant horizontal directions, X, and the orthogonal direction, Y.
where the meaning of '+' is superposition. With the three terms in each of the three alternatives of equation (D4.22) taken to have the same sign, a value A ~ 0.275 provides the best average agreement with the result of equation (D4.21) within the entire range of possible values of Ex, EY and Ez. In Eurocode 8 this optimal A value has been rounded up to A = 0.3, which may underestimate the result of equation (D4.21) by at most 9% (when Ex, Ev and Ez are about equal) and may overestimate it by not more than 8% (when two of these three seismic action effects are an order of magnitude less than the third). If dimensioning is based on a single, one-component stress resultant, such as for beams in bending or shear, the outcome of equation (D4.21), or the maximum value among the three alternatives in equation (D4.22) (with the three terms in each alternative taken positive), should be added to, or subtracted from, the action effect of the gravity loads considered to act in the seismic design situation together with the design seismic action according to Section 4.4.1. Then, equations (D4.21) and (D4.22) give approximately the same design. In buildings which are regular in plan and have completely independent lateral-force-resisting systems in two orthogonal horizontal directions, the seismic action component in each one of these directions does not produce (significant) seismic action effects in the lateral-force-resisting systems of the orthogonal direction. 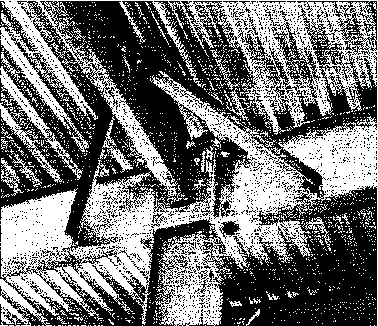 For this reason, for buildings regular in plan with completely independent lateral-force-resisting systems in two orthogonal horizontal directions consisting solely of walls or bracing systems, Section 4 of EN 1998-1 does not require combining the effects of the two horizontal components of the seismic action. When should the effect of vertical seismic action be considered?